Heat or boil water, milk, and tea in a jiffy using Kutchina Eva S electric kettle. This model has an elegant body design and is very easy to use. With this model, you don’t have to go through the hassle of incorrect measurements as it features a content level indicator. The high-power heating element of this model ensures faster heating and boiling time. Also, the heating element has a concealed design which makes this model safe to use. 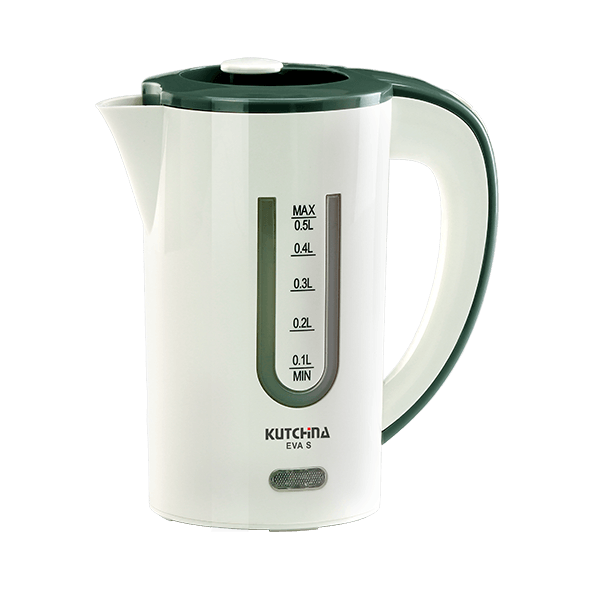 The Kutchina Eva S electric kettle is made from high-quality food grade plastic. 400 watt Hand Blender with superior look and easy to grip structure. The model comes with stainless steel blades for excellent blending.